Azamara Club Cruises unlocks the hidden corners of the world for those who desire to immerse themselves in rich details of the cruise voyage. 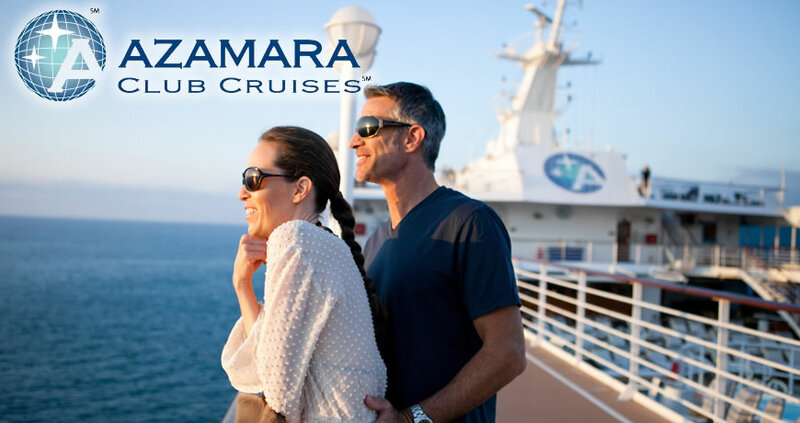 Both luxurious ships, the Azamara Journey and Azamara Quest, create a more intimate experience while allowing access to the kinds of remote ports of call most vacationers long to reach. Every moment onboard represents a rich array of finely crafted details and graceful amenities – butler service in all staterooms, small-scale immersive shore excursions, enriching offerings such as culinary and photographic explorations, customized stateroom experiences, and culinary encounters inspired by the worlds most renowned chefs – delivered with a passionate commitment to service. For the 710 cruise passengers fortunate enough to embark on one of these unique voyages, each moment at sea embodies the pinnacle of luxury and each footstep onshore accentuates the difference between visiting a place and getting a true sense of place. Unforgettable Itineraries - Azamara Journey and Azamara Quest have been designed to navigate into smaller, more remote ports of call, giving vacationers the opportunity to see destinations they could have never dreamed of seeing before. 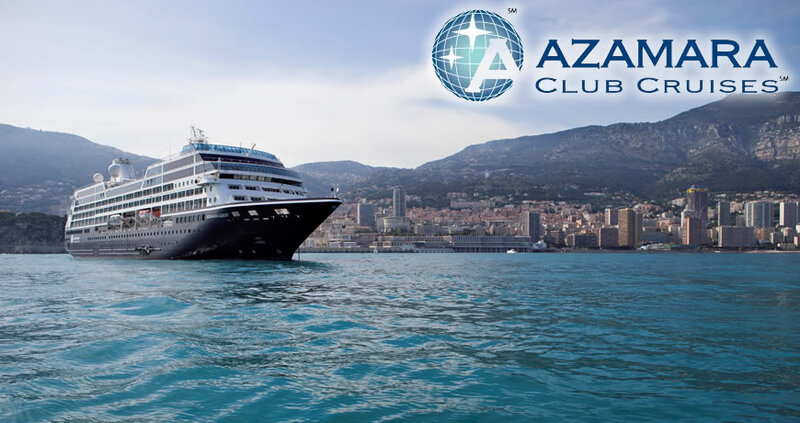 Azamara Club Cruises will visit destinations such as Asia, Africa, Australia, Antarctica, the Caribbean, Mediterranean, Panama Canal, South America and more. 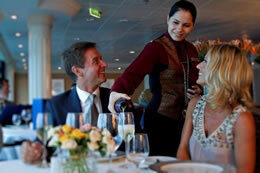 Impeccable Service - Onboard Azamara Club Cruises, there are no unimportant details to be overlooked. Even the most minute aspect of each voyage has been carefully considered – every amenity and luxurious nuance is delivered to ensure that the cruise experience resonates. 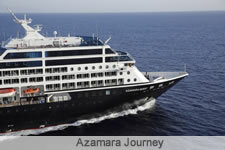 Guests sailing with Azamara will enjoy a more exclusive guest experience. Azamara Journey and Azamara Quest offer 15 variations of accommodations, all featuring butler service as well as concierge-style amenities, including fresh-cut flowers, fresh fruit, Elemis toiletries, complimentary use of Frette cotton robes, plasma televisions, European bedding, shoeshine service and much more. Sumptuous Dining - Each meal onboard Azamara Club Cruises promises to be a voyage unto itself, with nightly culinary artistry inspired by the worlds most accomplished chefs and by the bountiful regions through which each itinerary travels. To further enhance the experience, vintages from an extensive wine list will be offered to complement each dish. In addition to the main dining room (Discoveries), the Journey and Quest both feature two specialty restaurants. Prime C is a steak and seafood restaurant. Aqualina pairs regional, multi-course Mediterranean-style menus with wine menus. 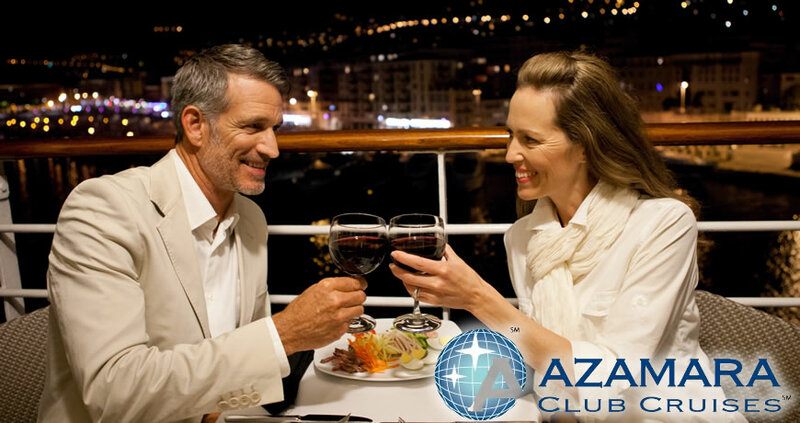 Both Azamara cruise ships have open dining and do not require formal dining attire. 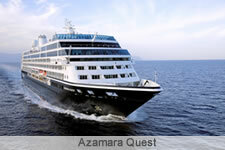 What makes Azamara Club Cruises so different and exclusive? Well, to begin with, its ships, the Azamara Quest and the Azamara Journey, are smaller and more intimate than the mass market or contemporary cruise lines, so they can visit many exotic places that larger ships simply cannot reach. In fact, their two cruise ships visit a total 152 destinations in 71 countries throughout the world. But, unlike so many other cruise lines, they don't just hit and run. Instead, they stay in port long enough to enable their guests to immerse themselves into the cultures, the scenery, the wildlife and the history of each fascinating destination that they visit. And, in most ports, they offer small-scale shore excursions that allow guests to personalize their cruise around their individual interests. 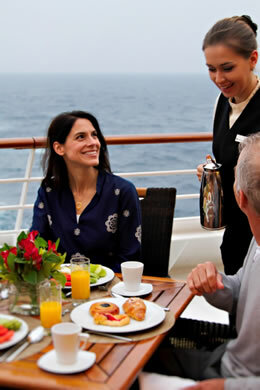 Onboard, guests experience an enlightened group of like-minded travelers who have come to appreciate the very best in accommodations, award-winning cuisine, Old World craftsmanship and, most of all, service by a superior staff that puts the comfort and convenience of their guests above all else. Then, there are all the little extras not found on other cruise lines. Extras, like complimentary dining in exquisite specialty restaurants, complimentary bottled water throughout the cruise and fine wine included with lunch and dinner. On an Azamara Club Cruise, you'll feel at home anywhere in the world and, as their motto says, you'll love where we take you.